If you have a scratch or scrape, the best thing to do is to contact us for car paint repair. We can repair the damage and leave it so that you are wondering where the issue was in the first place! Plus all our work comes with a lifetime guarantee that you’ll be happy with it. However, if you are tempted to repair any small paintwork chips yourself, this is the process to follow when it comes to how to touch up car paint, along with some comparisons to the full ChipsAway repair process. There’s more information on finding the right colour in our “What colour is my car” post from a few weeks ago. 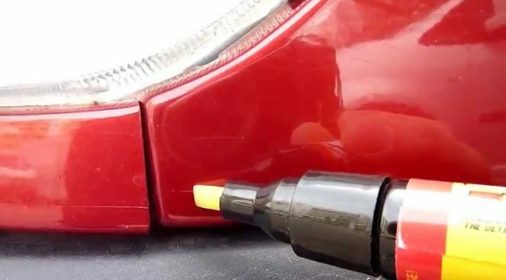 You can then order a small car paint touch-up bottle, which should come with an applicator brush. You’ll also need some primer, to help the paint adhere to the metal. It’s worth bearing in mind that you may not be able to get a direct match for your car just from buying generic paint, especially with older models. The new paint may be noticeable compared to the old paint, just because of the way that colour ages. At ChipsAway, we are able to precisely mix the paint required, to ensure a perfect match. Use detergent or specialist cleaning solution which will remove any layers of wax or polish. Use fine sandpaper to prepare the area for painting – paint will adhere more readily to a rougher surface. Be careful not to remove too many layers. If there is any bare metal showing, ensure that a tiny amount of primer is used to cover this, making sure to keep it away from the paint itself. 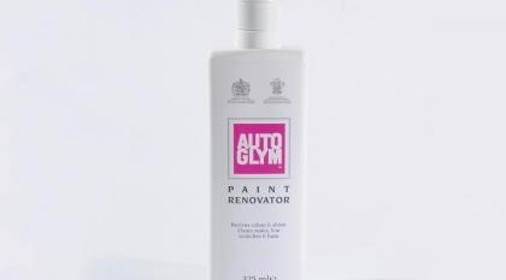 Primer will also stop any rust from forming under the new paint. During this stage in a ChipsAway repair, we will have masked off all the surrounding areas and will carefully remove the paint altogether, to prime and repaint, giving a professional finish that blends in with the original paintwork. Use the applicator to gently apply a small amount of paint in regular brushstrokes, only to the affected area. This is the element of the job which can become a labour of love, as it requires patient attention to detail. It takes several days for paint to be fully dry, so be aware of this. With a ChipsAway repair, we use special, infra-red lamps and apply the paint in thin layers, drying each layer thoroughly, so the repair will be much more complete than if done as a DIY touch-in. You can then apply polish to the paintwork to protect it and choose a suitable wax product to keep it looking good after this. The repair job at ChipsAway is finished with a professional polish using a machine, to really get the paint glowing! 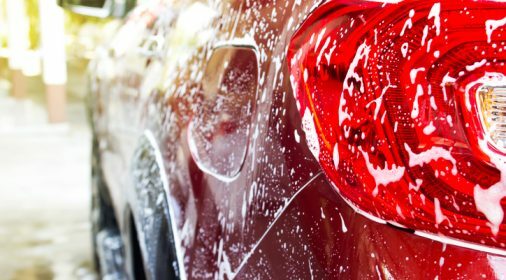 We hope this gives you some helpful pointers if you are considering touching up your car’s paint, as well as some advice as to when it’s best to have professional work done. 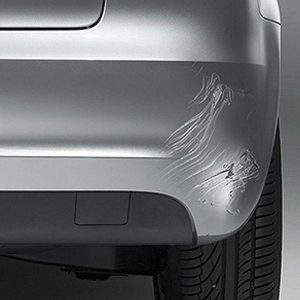 If you’d like someone from ChipsAway to assess the damage on your car for scratch or dent removal and provide a free, no-obligation quote, please complete our online form.